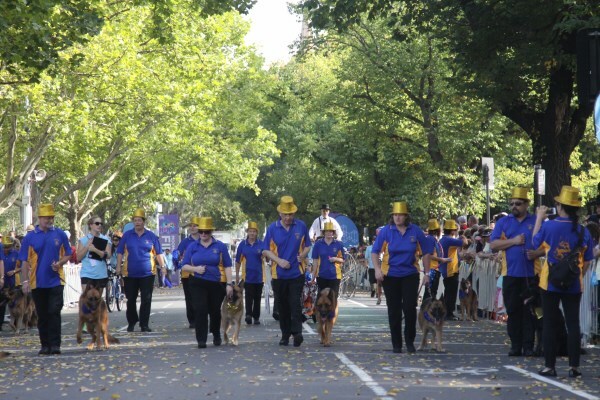 Did you See us in the Moomba parade? 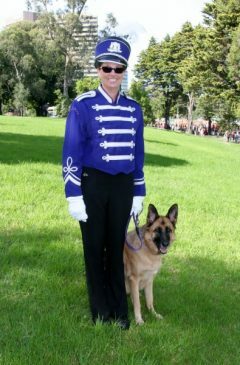 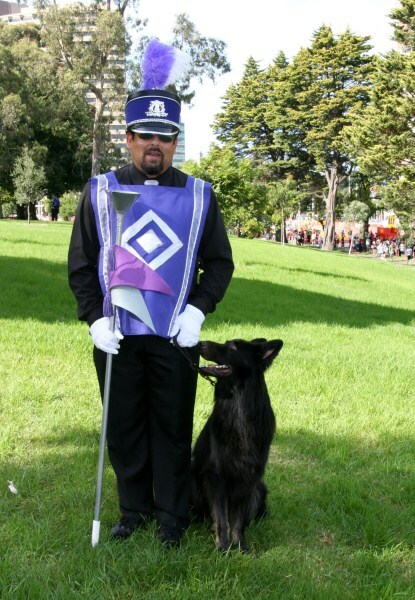 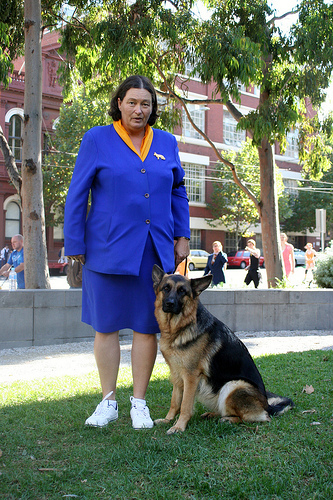 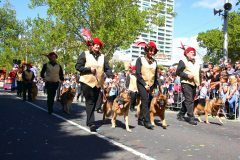 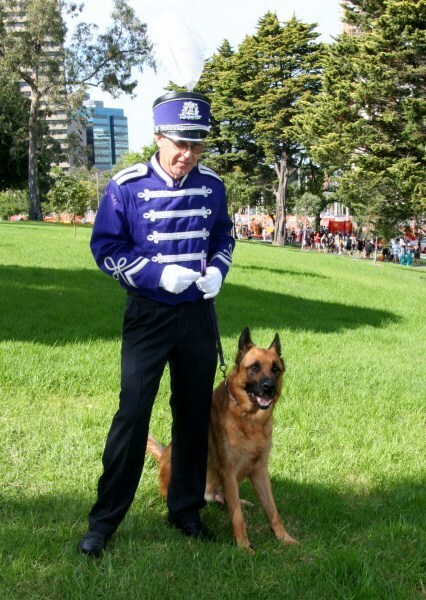 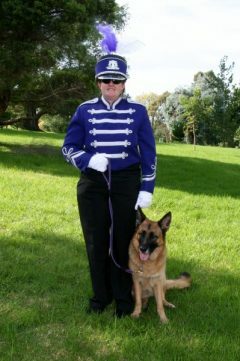 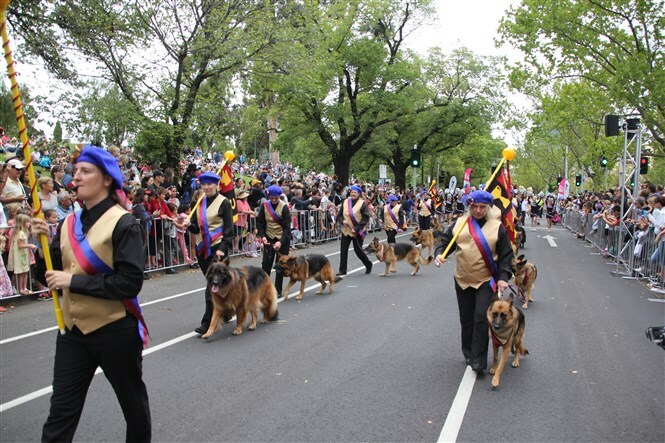 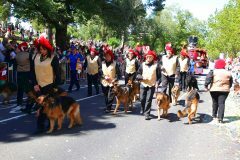 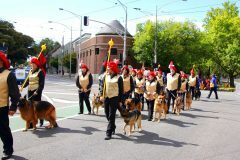 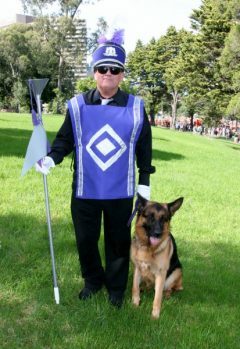 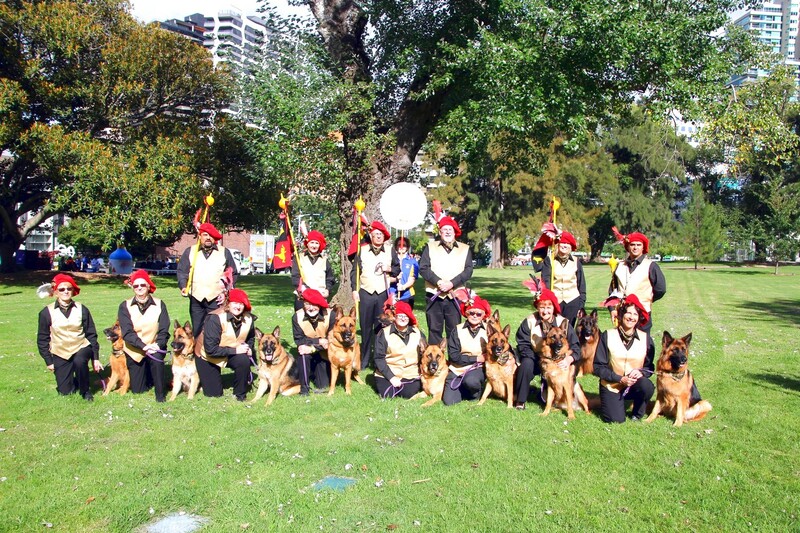 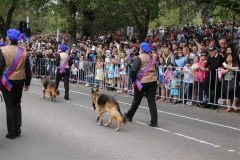 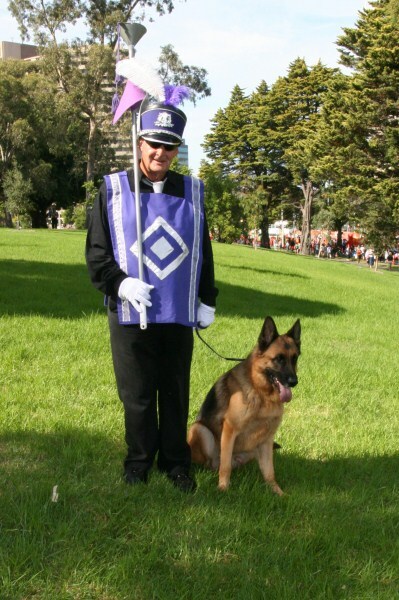 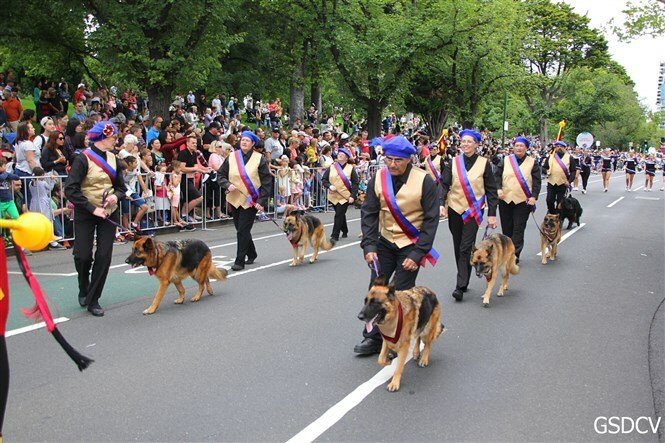 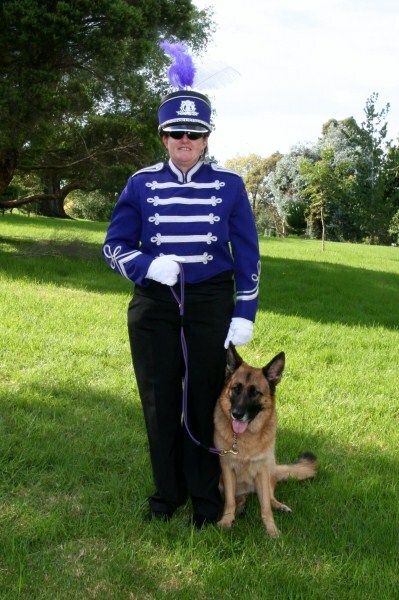 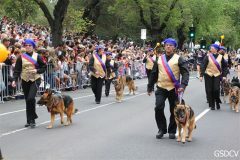 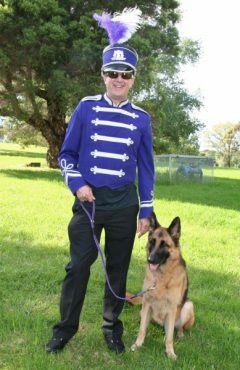 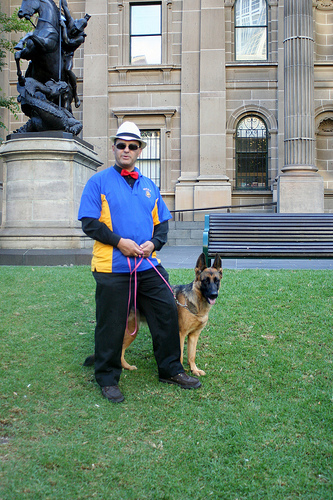 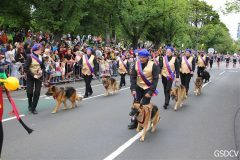 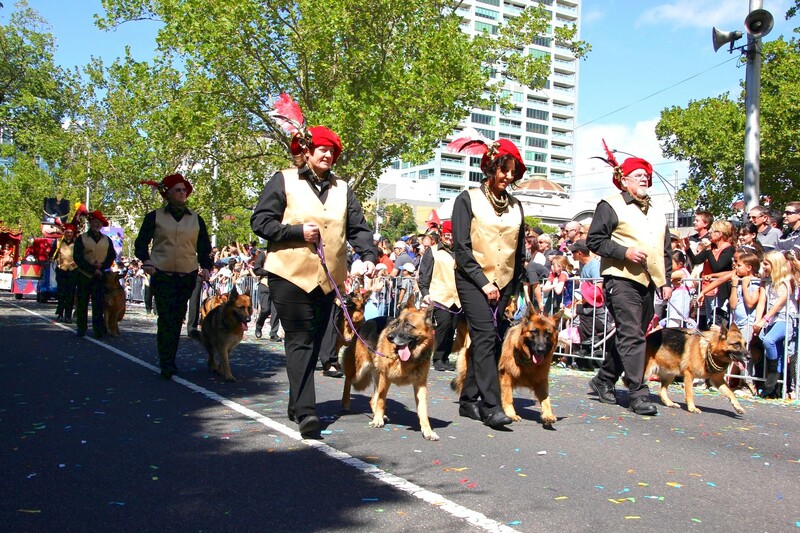 The GSDCV has participated in the annual ‘Moomba’ Parade through Melbourne on the March Labour Day holiday for many years, beginning back in the 80’s. 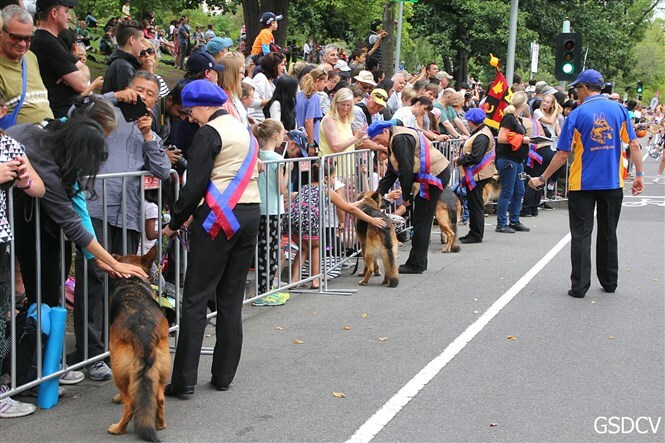 In recent years we’ve become involved once more, taking our dogs to the public, showing what they can do and promoting our breed to the tens of thousands of people who line the streets to view the parade each year. Every year we’ve had a fabulous time, with snippets and photos below of our participation. You can view videos on our media page too ! What a great day for the GSDCV in the 2016 Moomba parade as the King & Queen’s courtiers. 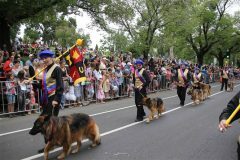 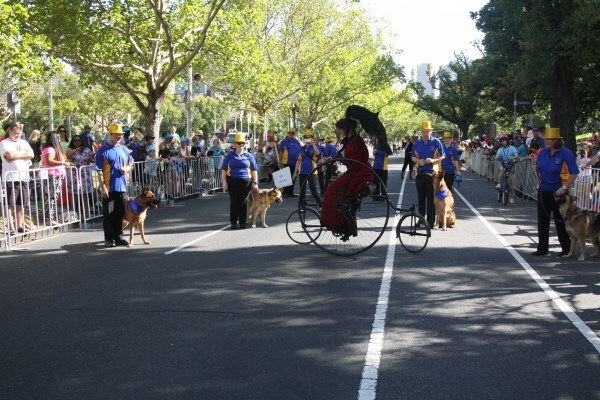 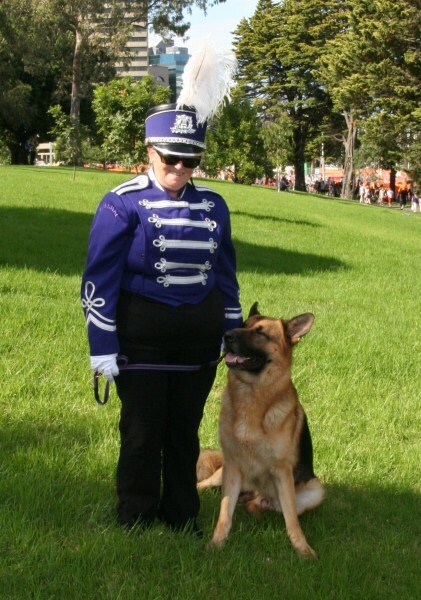 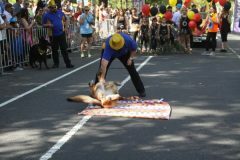 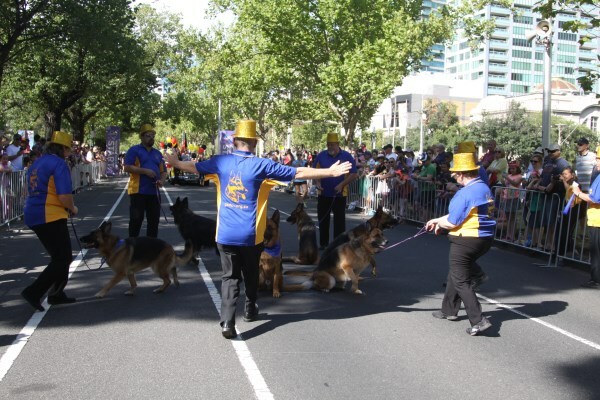 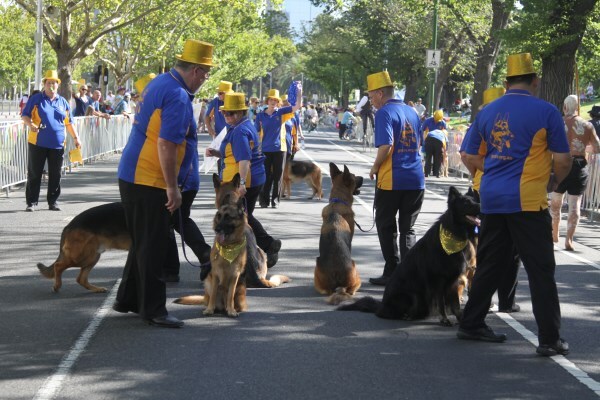 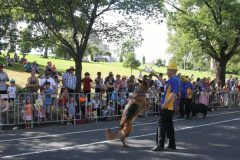 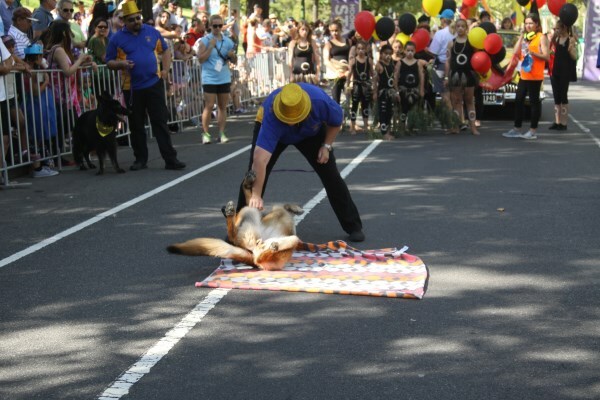 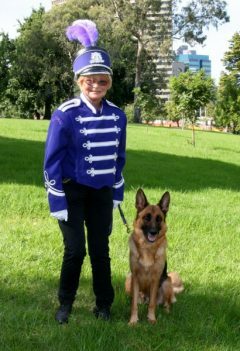 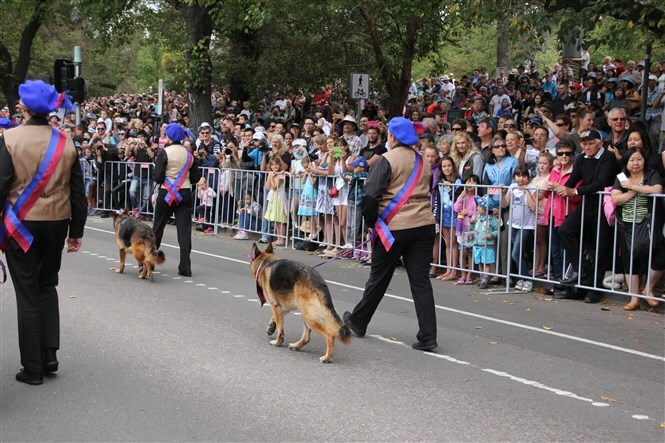 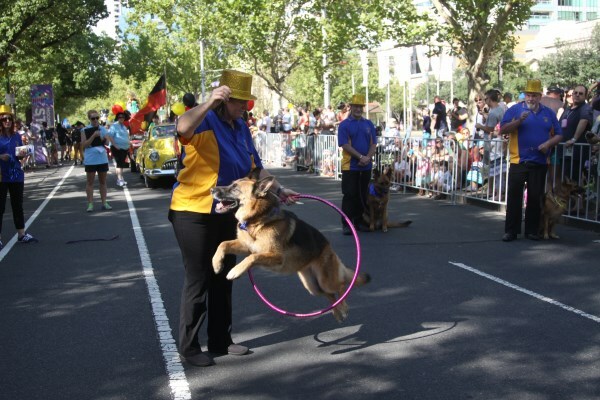 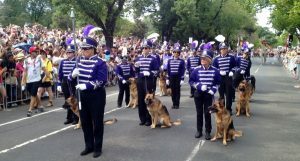 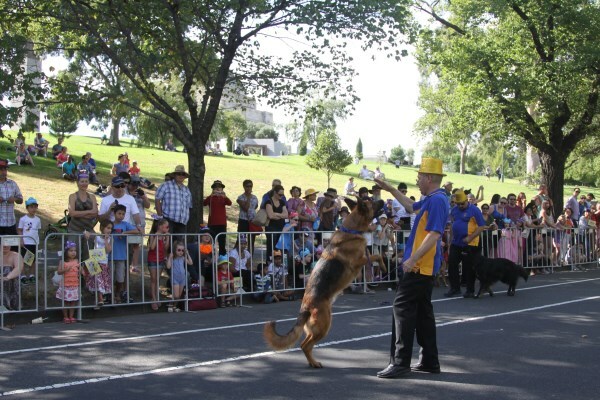 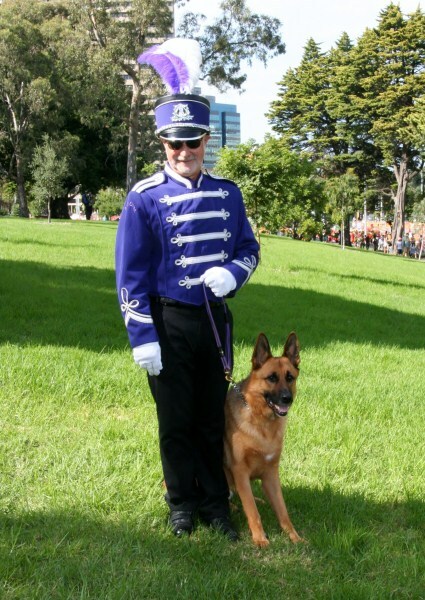 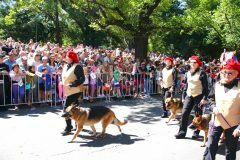 ~85,000 people lined St. Kilda road for the parade and all loved our dogs. 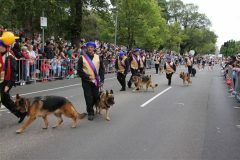 Our 10 fabulous GSD’s also loved every minute of it with lots of cheers down the route from the public. The dogs were very popular & perfect breed ambassadors – patient, entertaining and unphased during the excitement of the day. Thanks to all involved and those who made it happen. 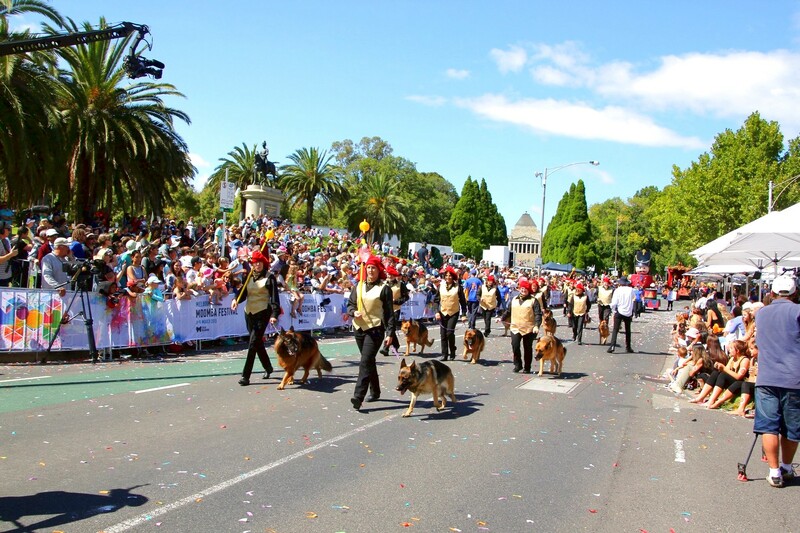 Here’s all the pics from our big day – there’s lots more to it than the parade. 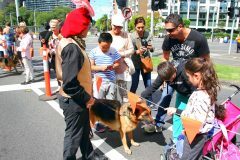 Great chance to interact with the public and the dogs love it. 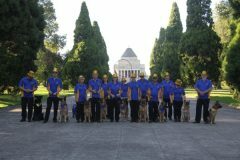 Well done to all our team – Merran Hamilton & Kaiser, Gayle Johnston & Al, Jacinta Poole & Dizzy, Lisa Bateman and Indi, Nicki McDermott & Winnie, Chris Mayo & Merlin, Vince Ebejer & Jipcee, Sue Hounslow & Shiloh, Lyn McPherson & Shiraz, Dearne Jackson & Polly and helpers Grant Milne (video), Lin Milne (photographer), Donna Bradley (parade leader) and Mike Fajdiga (banner carrier) ! 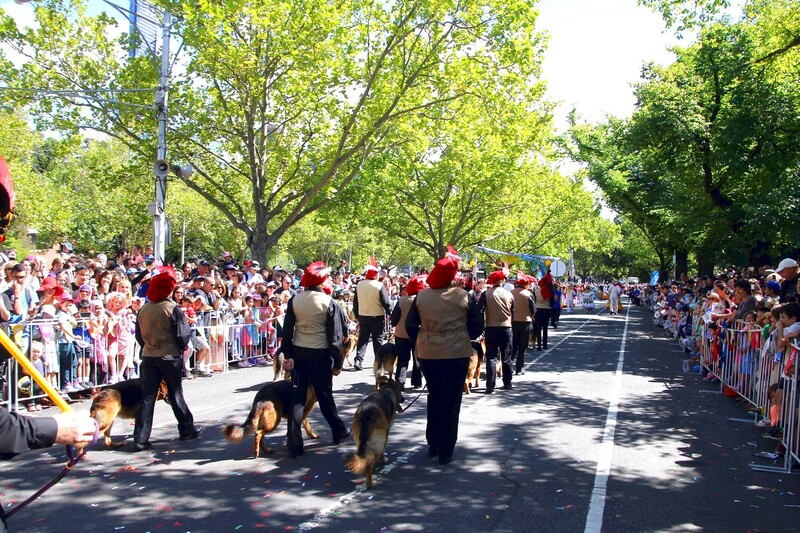 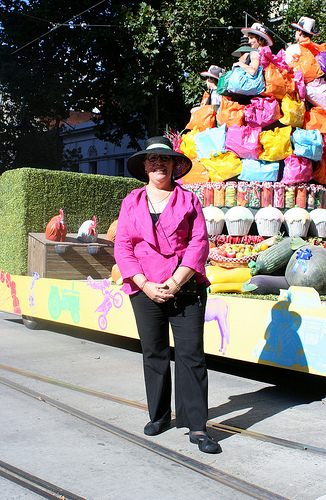 Our day out in the Moomba Parade – 2015 ! 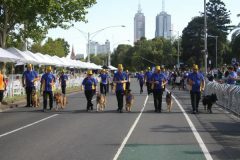 The GSDCV had a very successful day out in the Melbourne Moomba Parade. 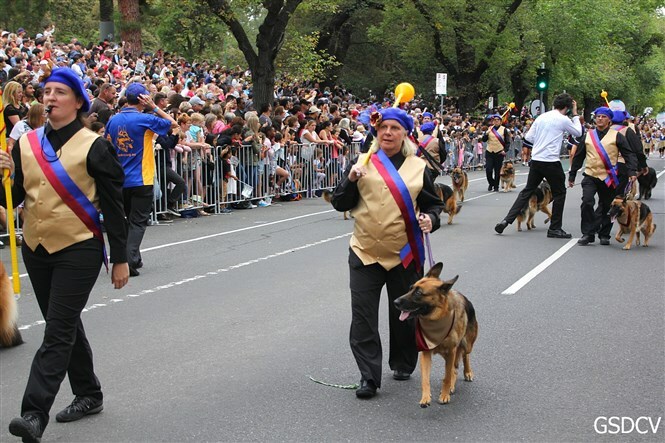 80,000 people lined St Kilda Road and cheered as we went along as the escorts for the King (Shane Warne) & Queen (Pallavi Shada) of Moomba. 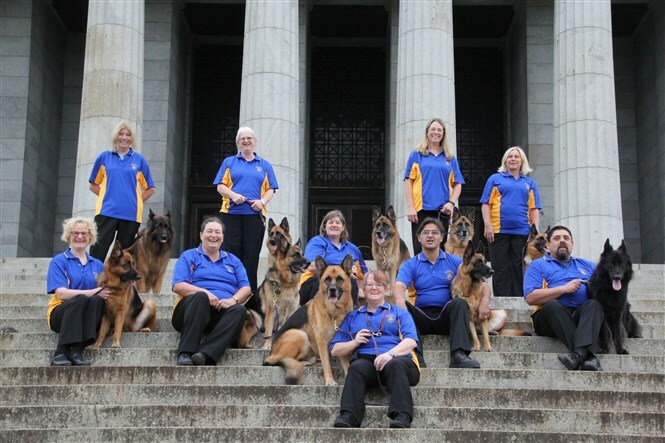 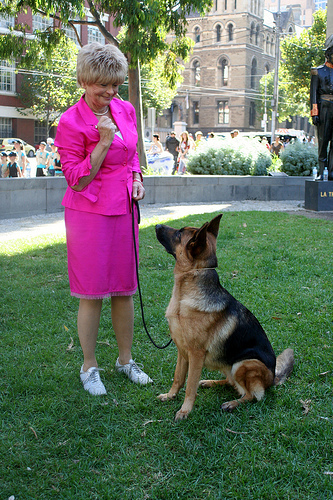 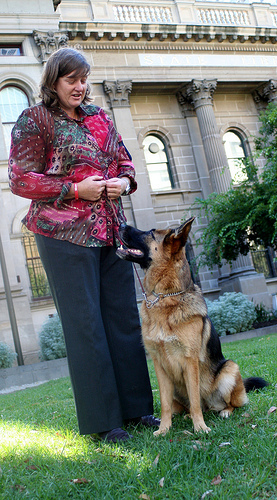 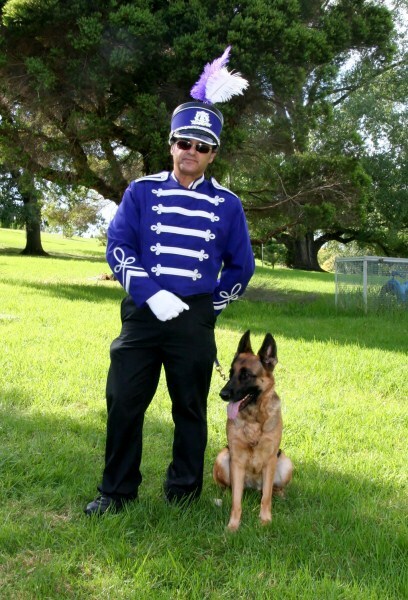 Our 13 GSD’s were the stars of course, and all were exemplary GSD promoters. 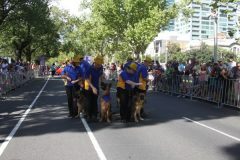 The pats,pics and cuddles from the public at the end for the dogs was terrific. 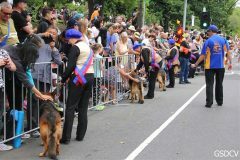 Very popular and a great day of promotion. 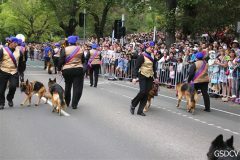 Thanks to MIchelle Mercieca & Bella, Merran Hamilton & Kaiser, Gayle Johnston & Al, Andrea & Zoe, Jacinta Poole & Dizzy, Dawn Howard & Rain, Ashley Kendall & Asa, Chris Mayo & Merlin, Ian Woollard & Jake, Barbara Stewart & Amber, Michael Simmons & Kato, Sue Hounslow & Shiloh, Lyn McPherson & Shiraz, and helpers Dearne Jackson, Vince Ebejer, Grant Milne, Lin Milne, Donna Bradley, Karen Mayo and Veronica Kendall ! 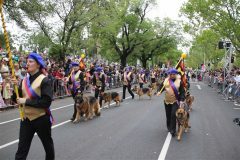 Below are the pics of our day’s activities ! 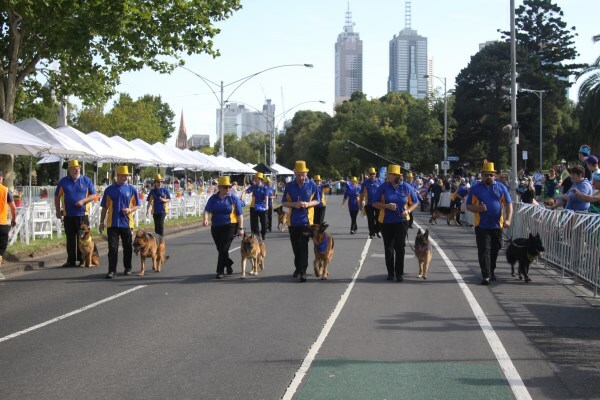 GSDCV at Moomba 2014 ! 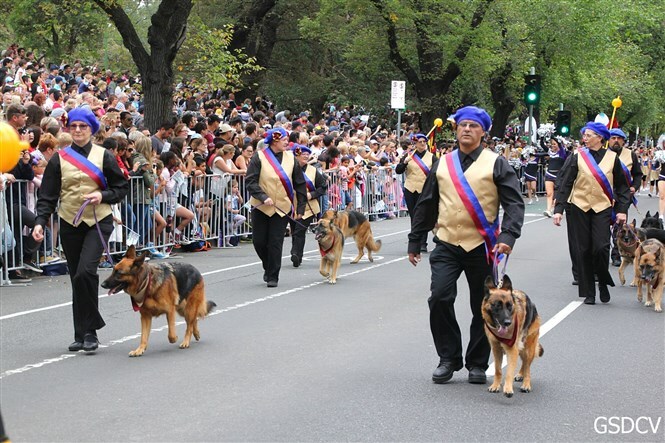 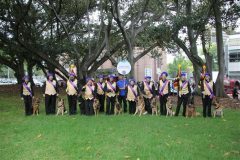 GSDCV in the Moomba Parade 2013! Moomba Madness for GSDCV – 2011 ! 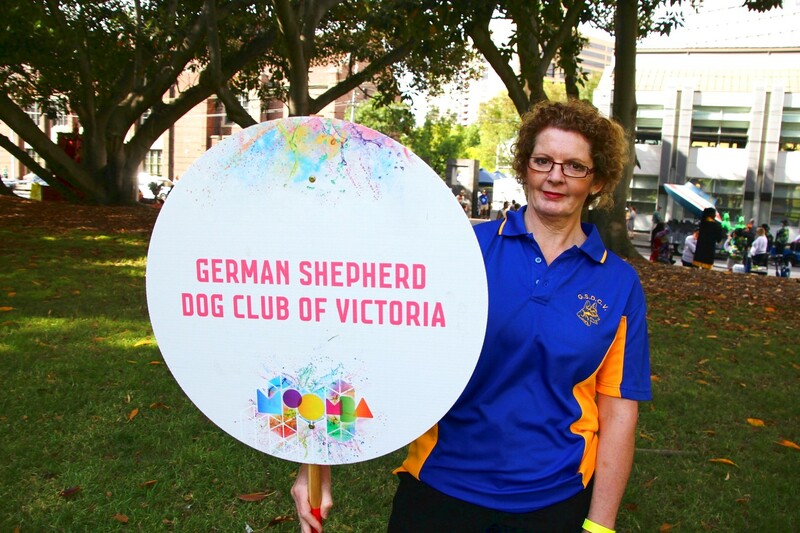 On Monday March 14th 10 members and their dogs represented the GSDCV as part of the Royal Melbourne Show’s ‘Best in Show’ float in the annual MOOMBA parade. 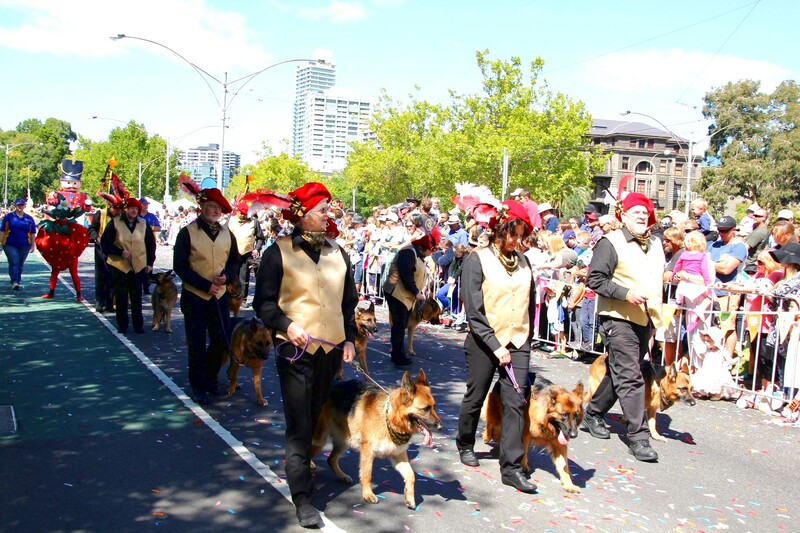 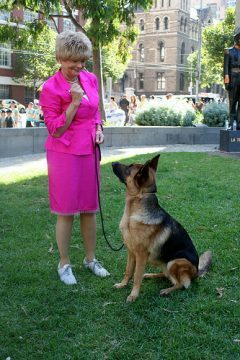 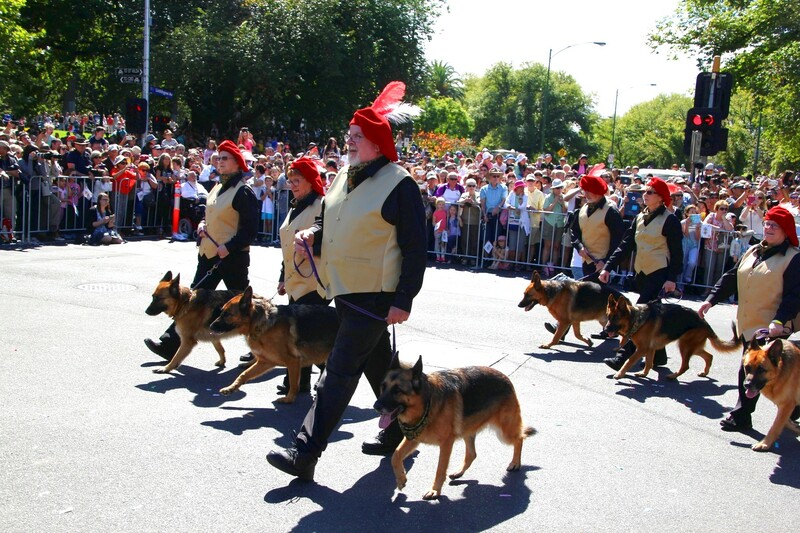 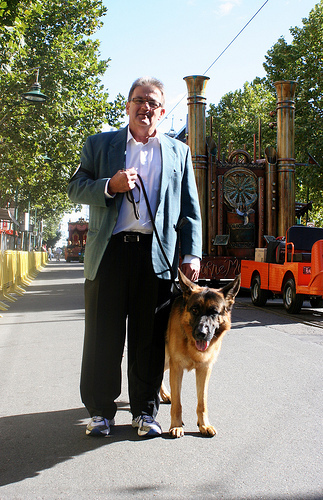 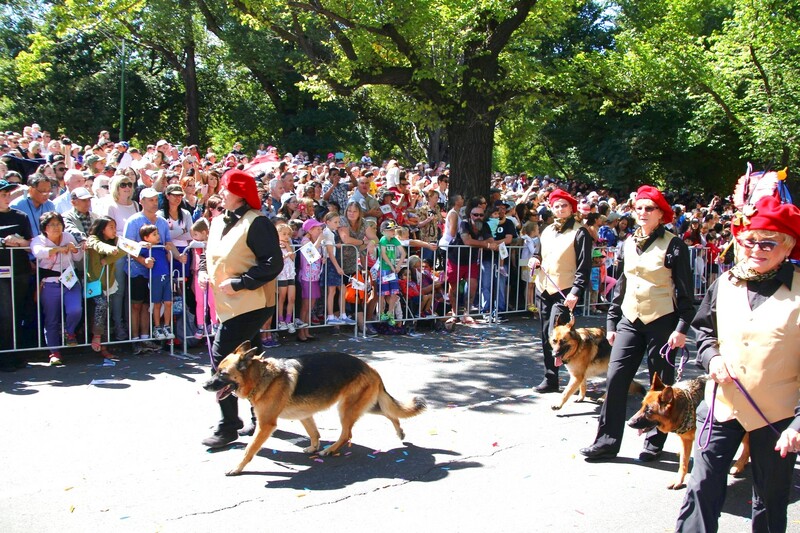 Crowd estimates of 70,000+ watched our GSD’s strut their stuff down Swantson St Melbourne in the Moomba parade. The dogs were the heroes with the crowd and they were mobbed for pats and cuddles, in between acting out our ‘best in show’ ring routine. 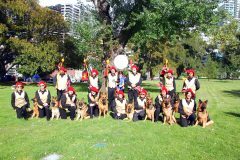 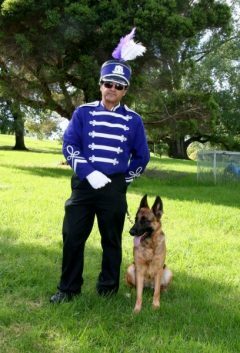 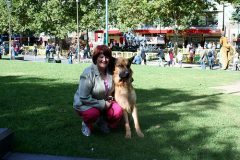 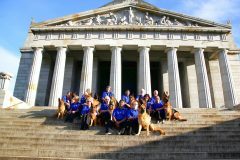 The dogs behaviour was impeccable throughout and they were certainly terrific ambassadors for the GSD breed – the day was filled with publicity and promotion you can’t buy !!! 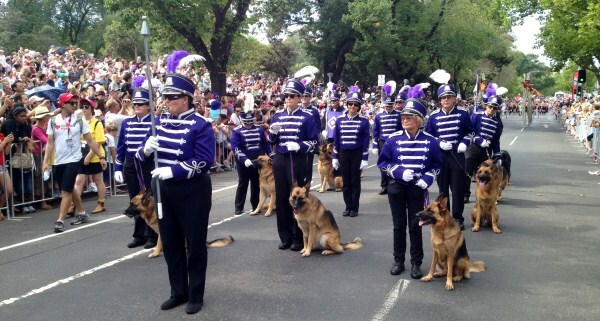 At the end of the parade, the dogs were overun for pats and photos (and more photos!) by the public. 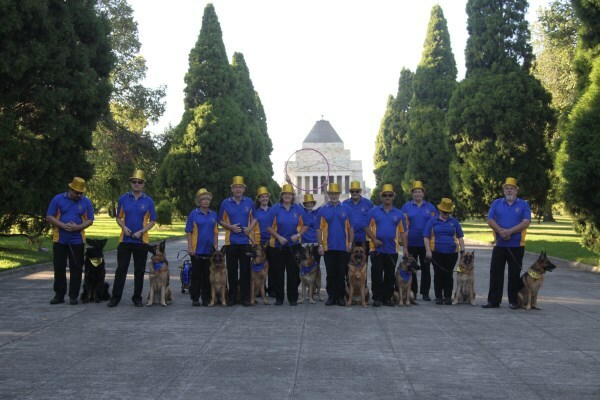 They lapped up the attention.The members and dogs involved for the GSDCV were Dearne Jackson with Polly, Vince Ebejer with Jipcee, Bernie Lester with Harvey, Gayle Johnston with Al, Dawn Howard with Rain, Margie McCluskey with Cailin, Grant Milne with Abbi, Ken McKay with Nero, Ian Woollard with Jake and Jacinta Poole with Dizzy. 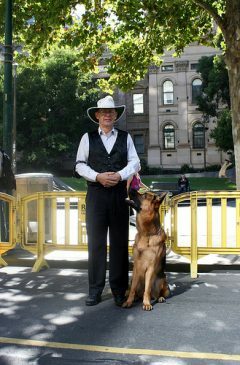 Lin Milne was our official photographer and Anca Tilea our ‘judge’ for the parade. 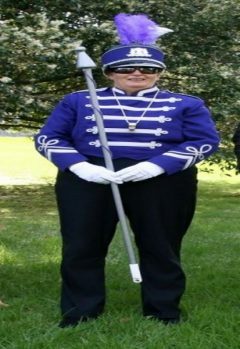 To get our group organised, there were 2 days of official parade rehearsals, shopping for suitable ‘show’ attire and a training night for our parade routine so we were set to go. 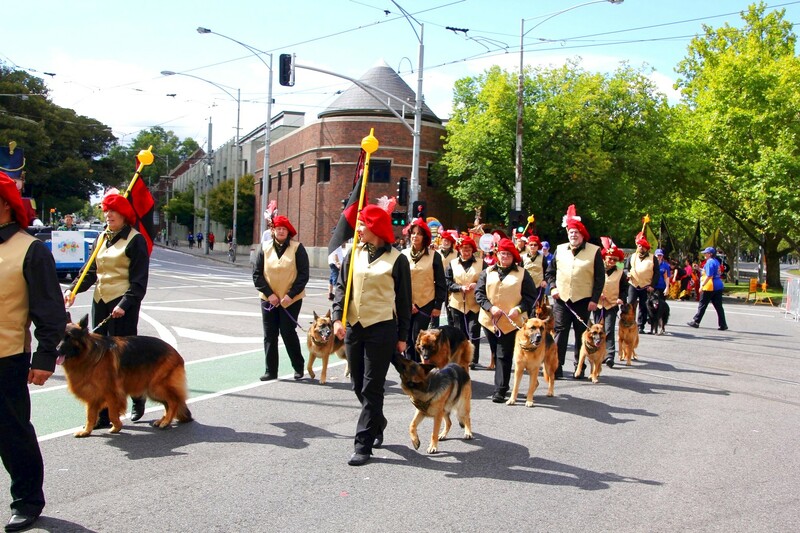 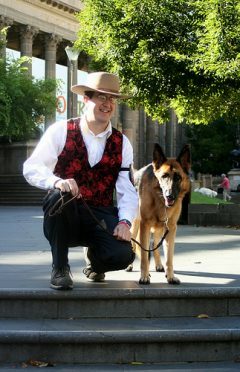 After arriving at 8am in the city, we walked the dogs up to the start of the parade at the top of Swanston street. 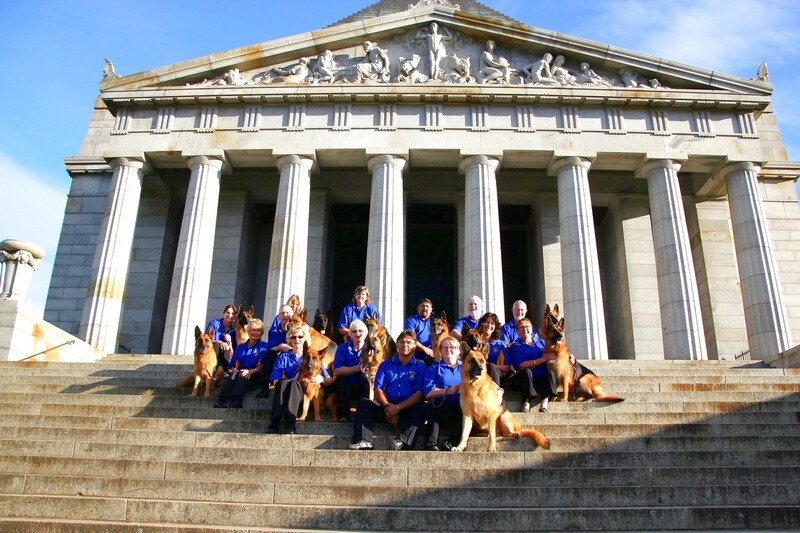 A big group of GSD’s creates quite scene – even at that hour. 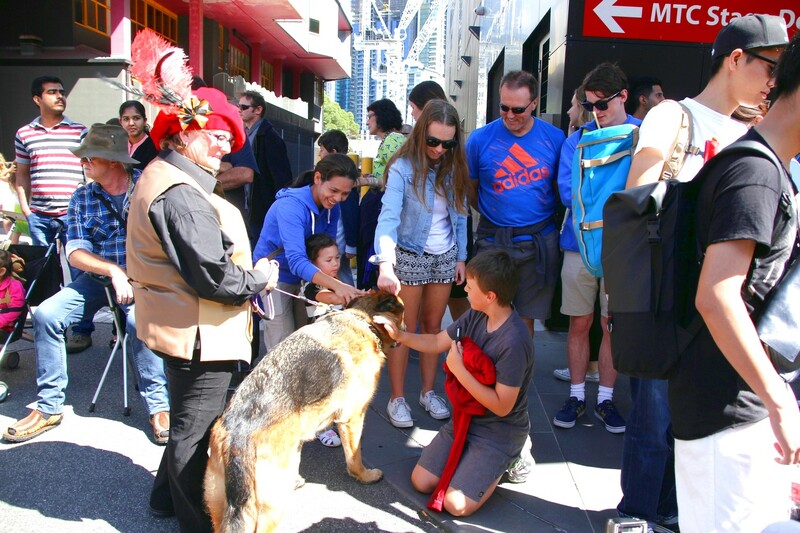 The public wanted to meet and greet and we caused quite a stir. 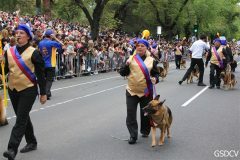 The dogs thought it was great ! 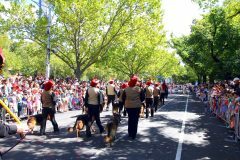 As we waited there were so many sights and sounds with the area packed with the public arriving for the Moomba festivities. By 10.30am we took our place in the parade line behind the Royal Show float, and waited to set off as the crowd built. 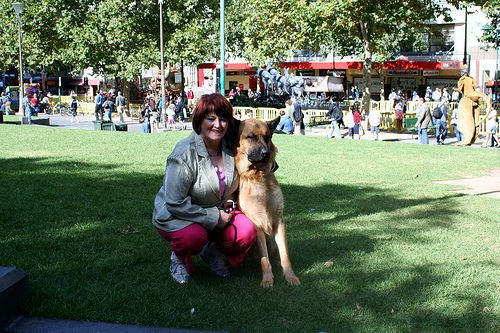 Time flew as we walked down Swanston St, meeting and greeting and ‘showing’. 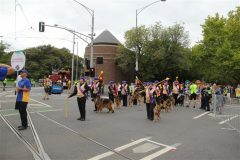 By 12.30pm, the parade was over and our dogs mixed with the public, had photos and pats and generally endeared themselves to anyone who took any notice. 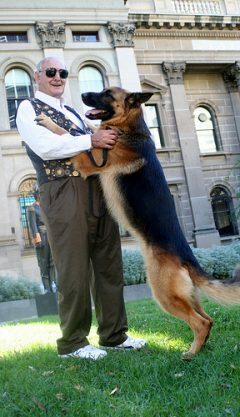 Well done and thankyou to our magnificent German Shepherd Dogs and their handlers for their efforts. 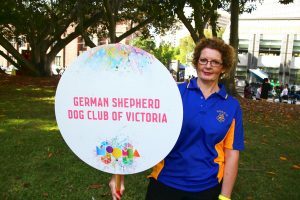 GSDCV Publicity and Promotions Officer Dearne Jackson coordinated the whole activity and had every base covered in the lead up to ensure that the day went smoothly – a significant task.